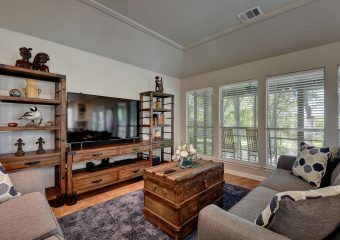 Everything is brand new! 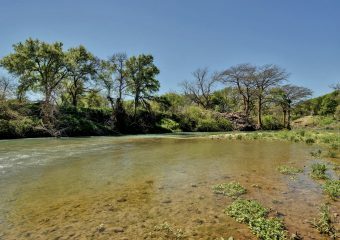 River Palm Retreat has three bedrooms and two full bathrooms, accommodating up to six guests. 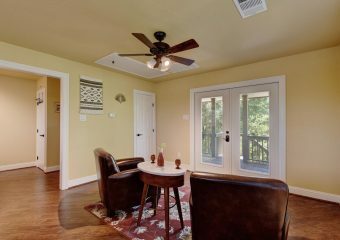 We’ve just added the cozy River View Loft, which is optional and can handle two more guests. 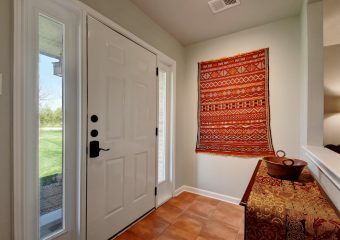 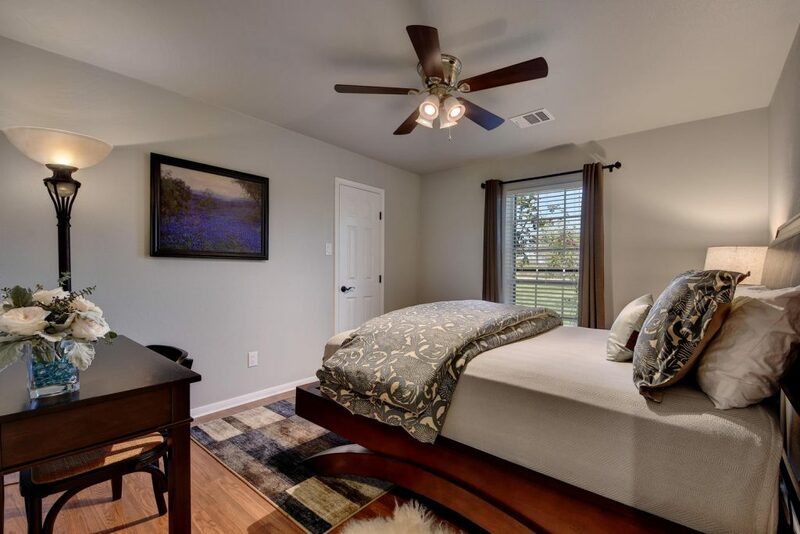 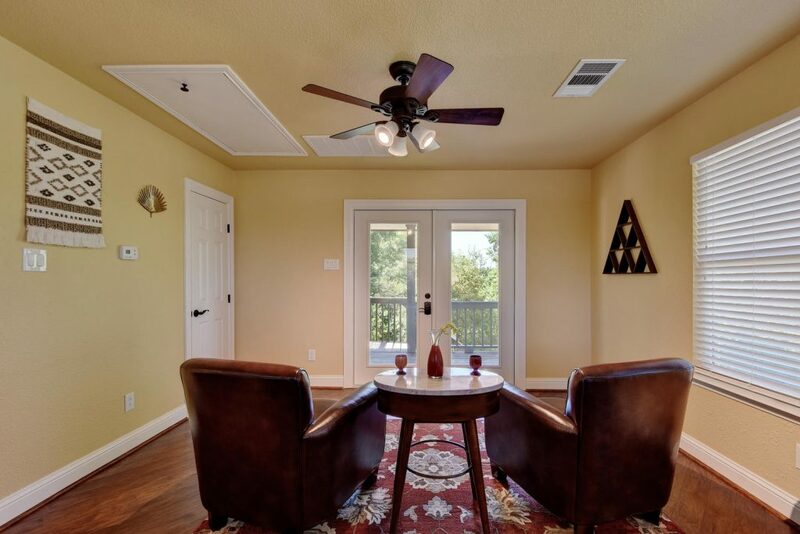 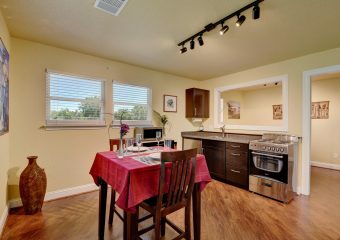 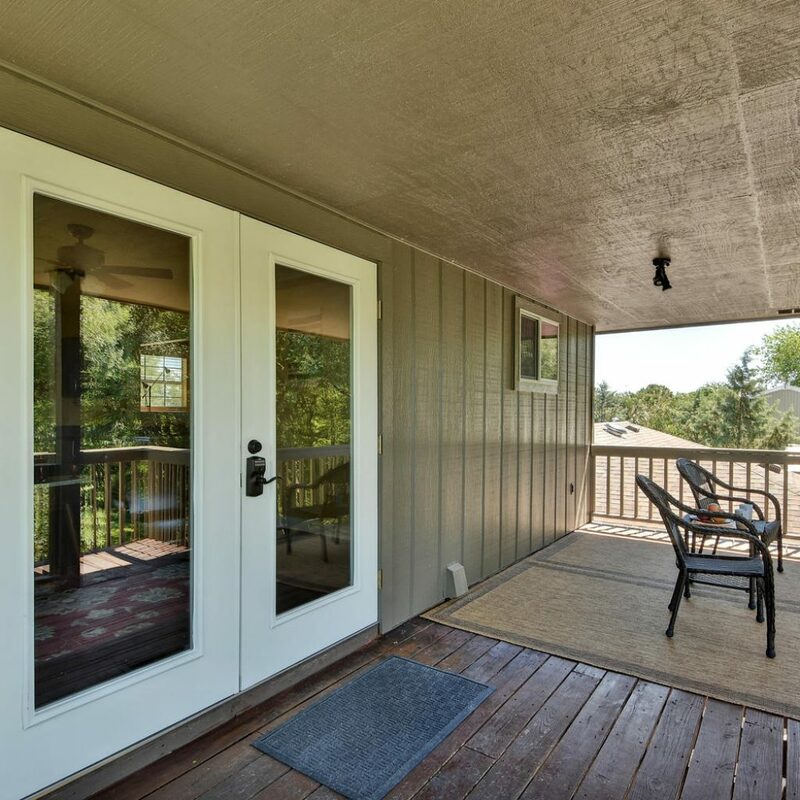 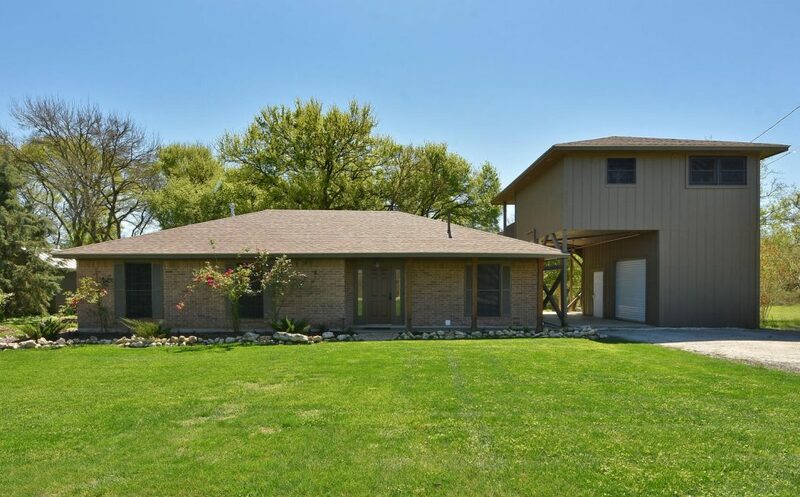 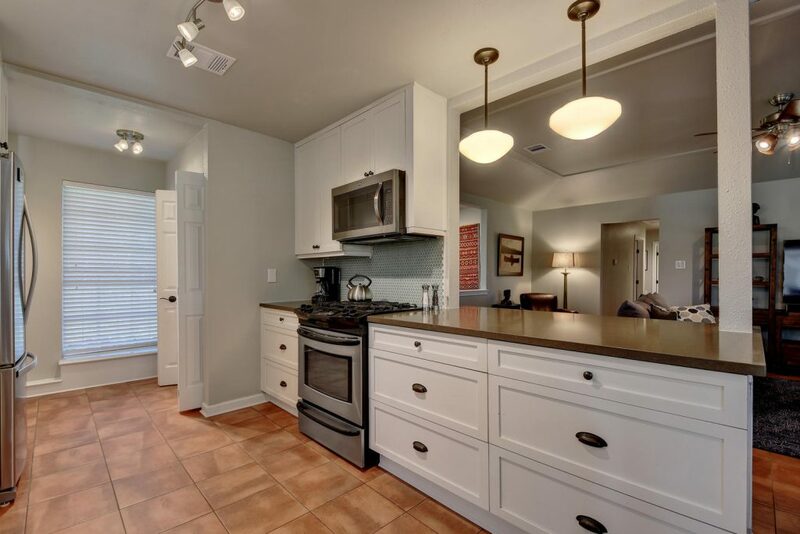 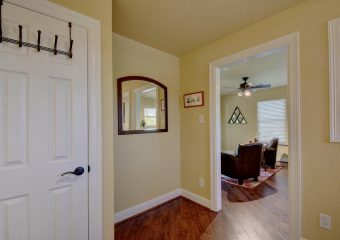 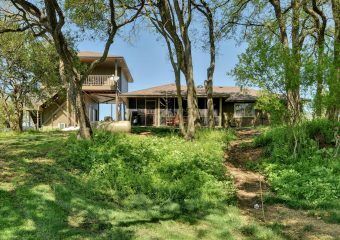 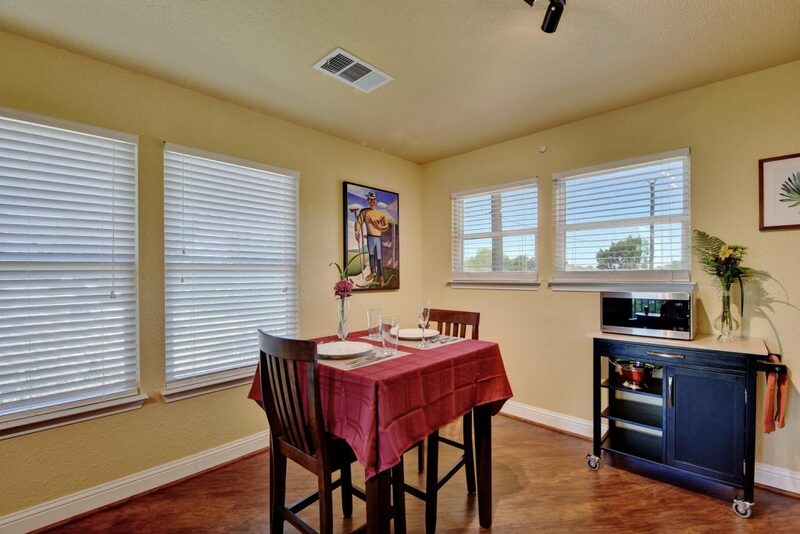 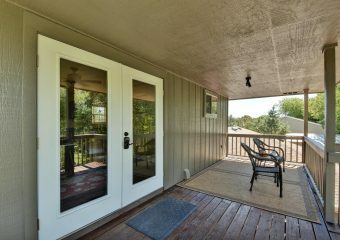 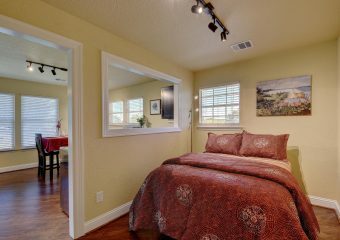 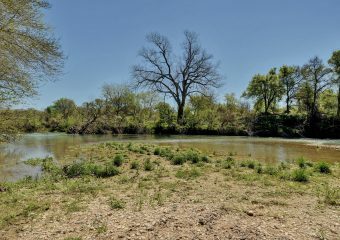 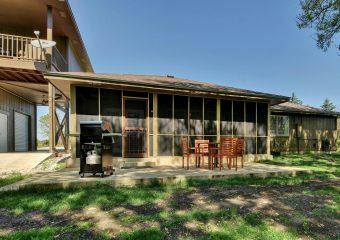 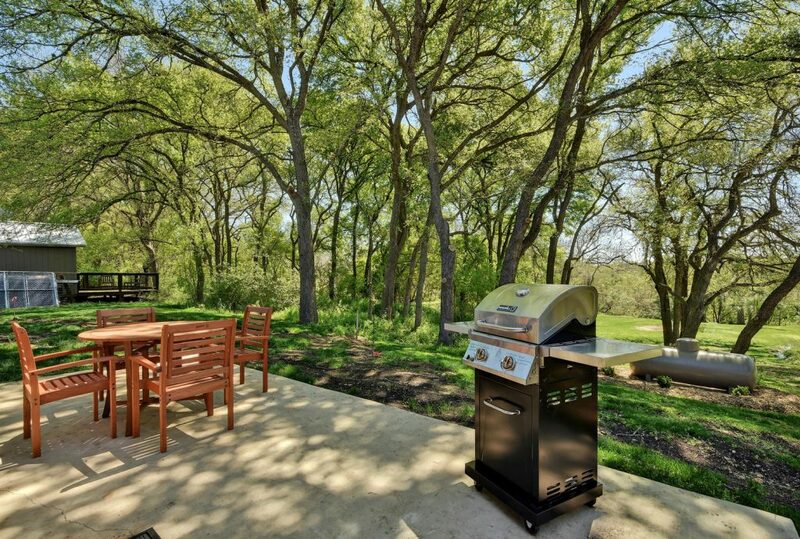 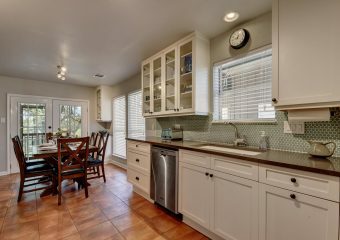 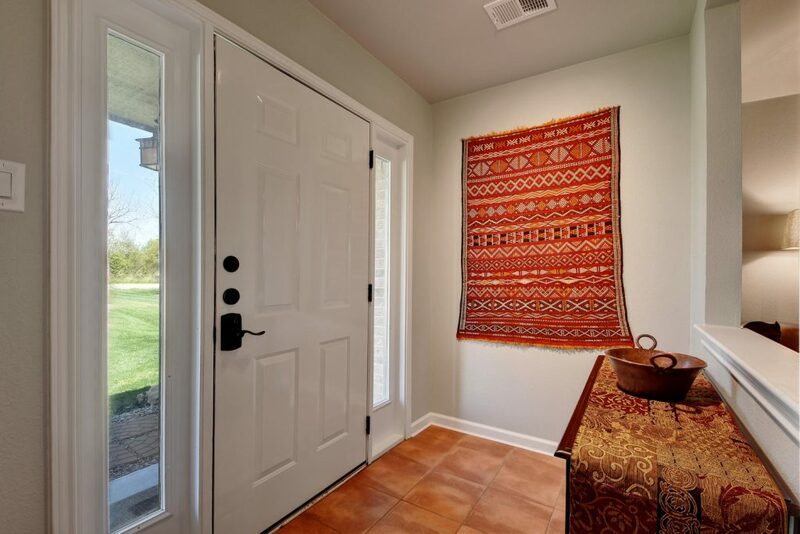 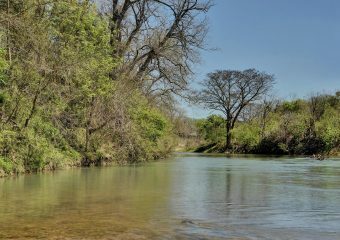 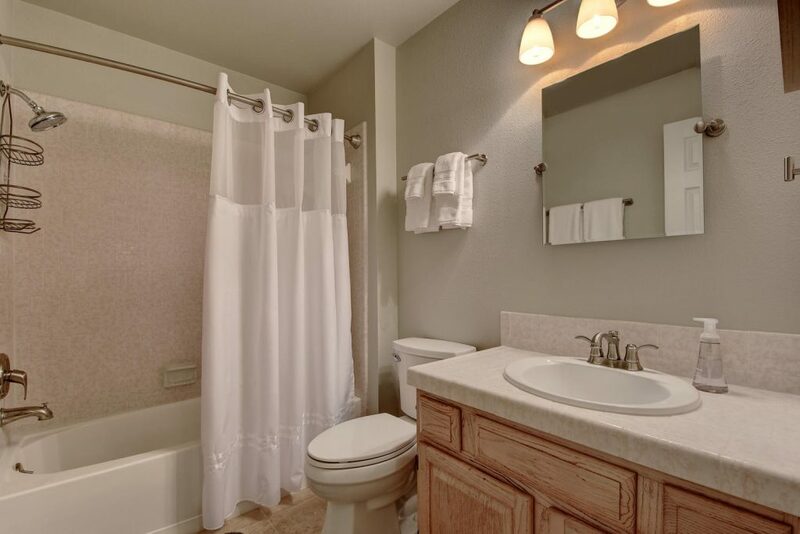 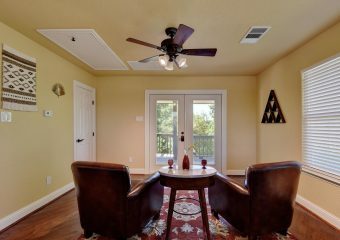 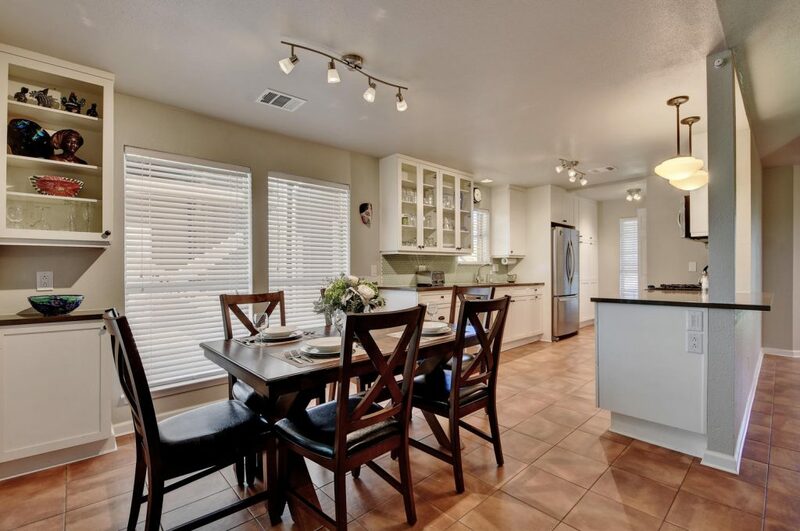 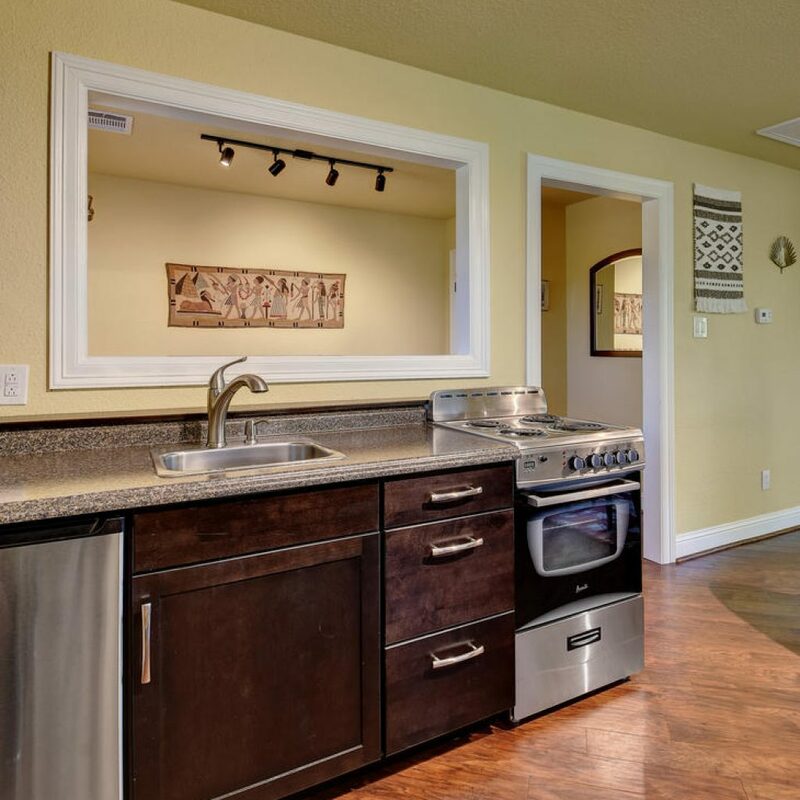 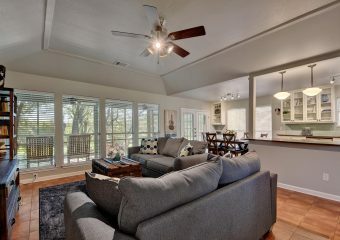 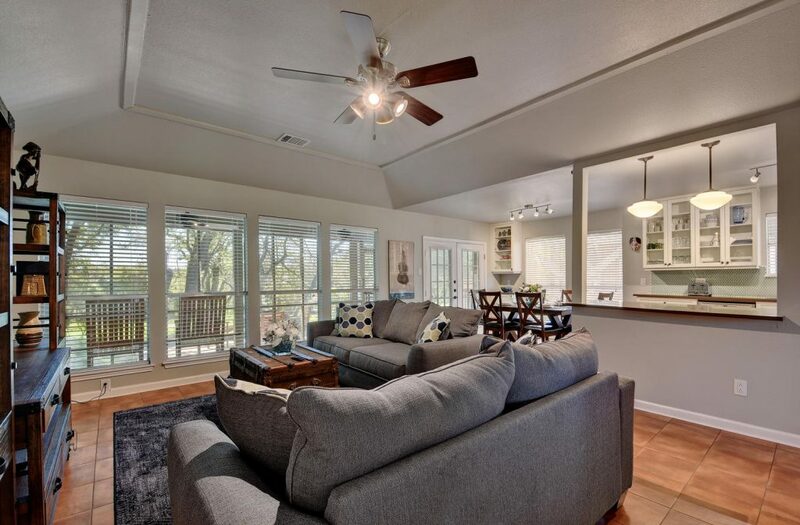 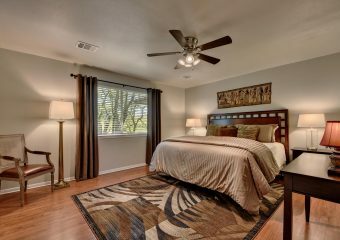 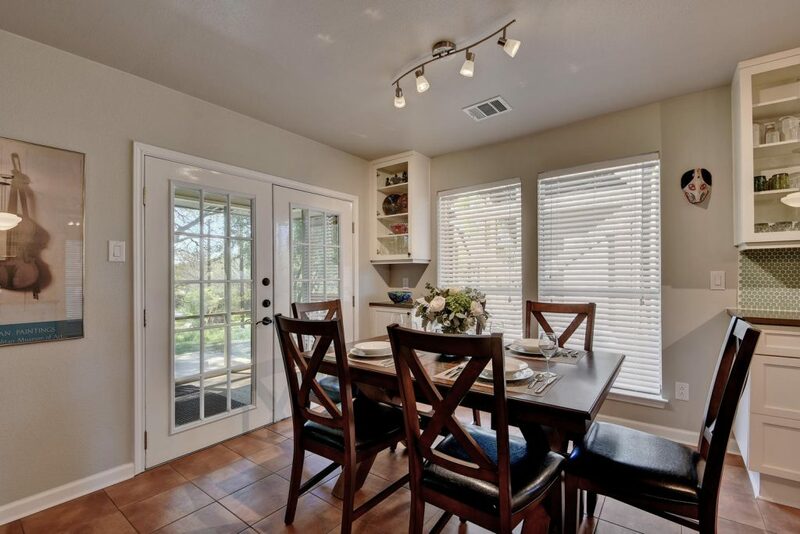 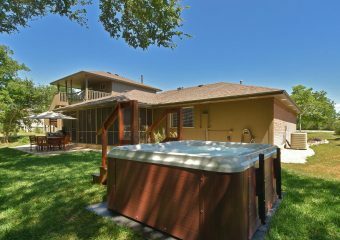 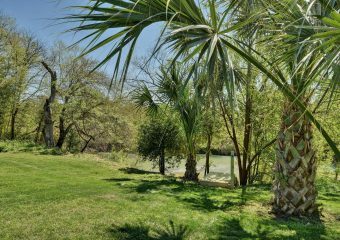 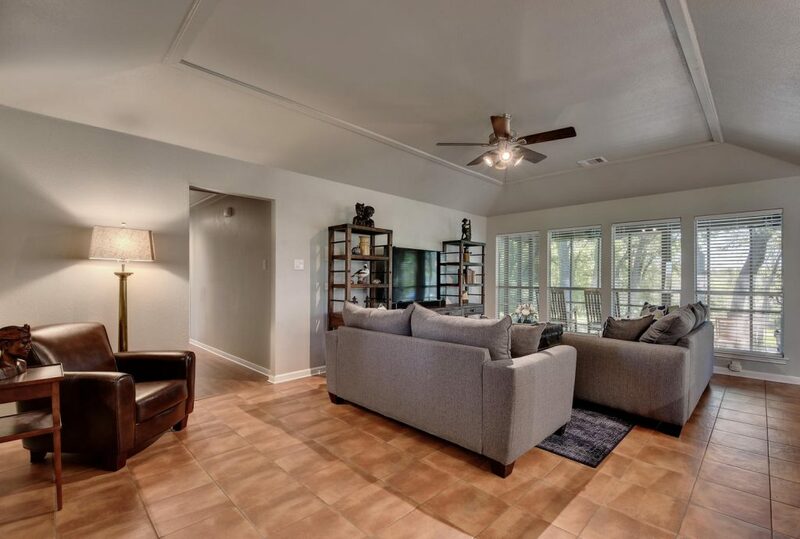 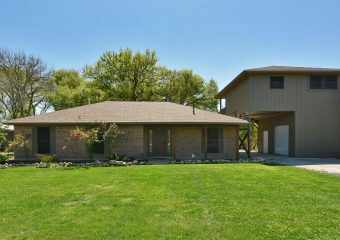 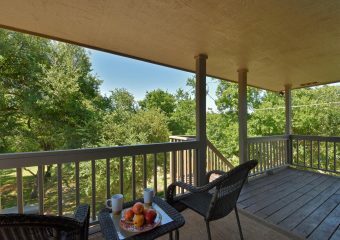 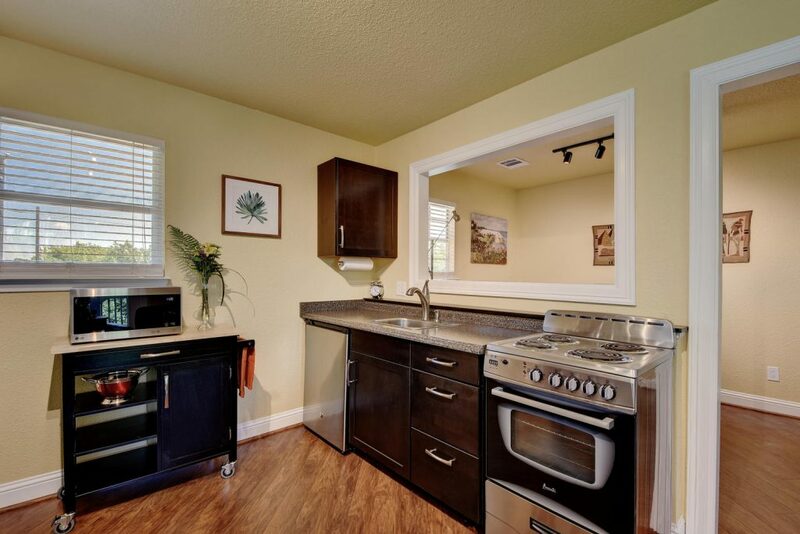 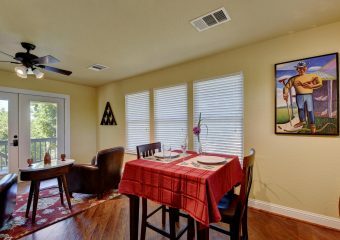 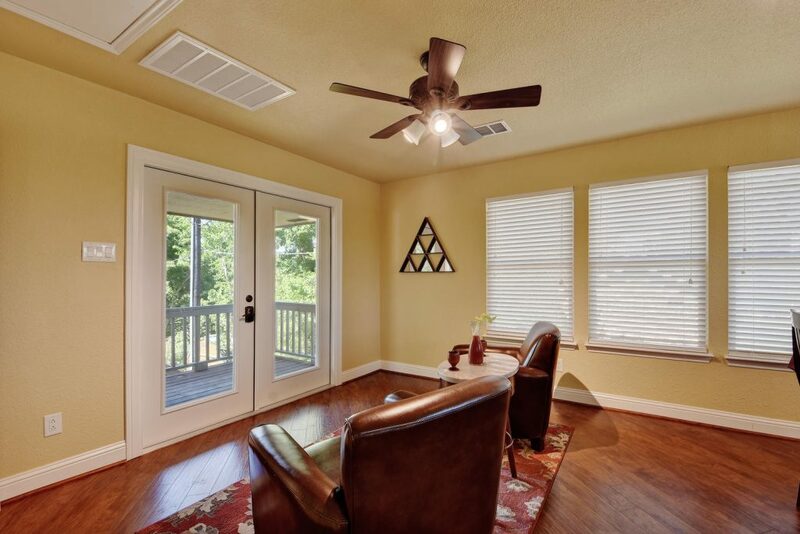 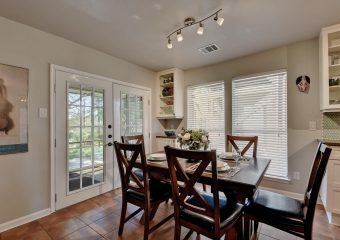 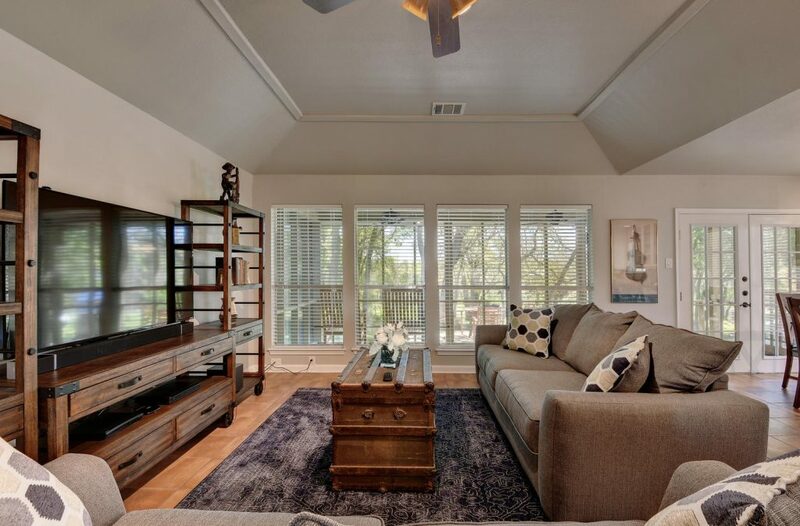 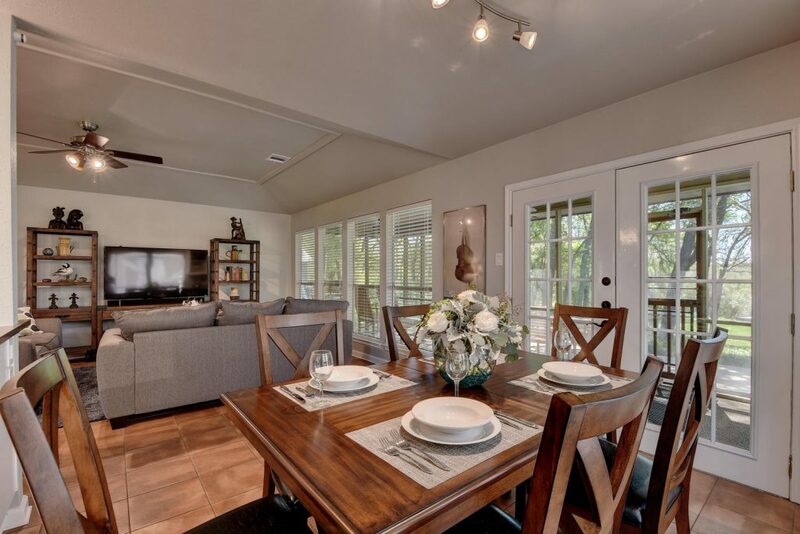 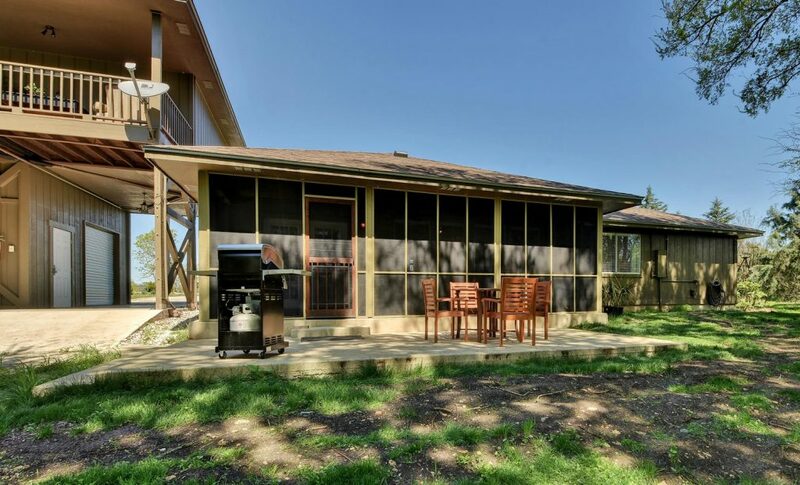 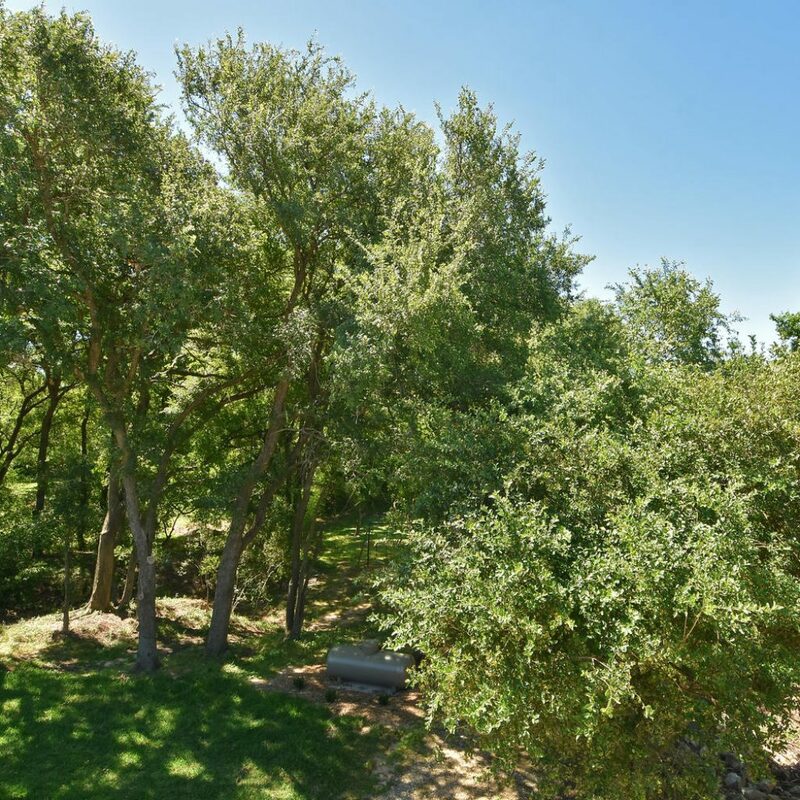 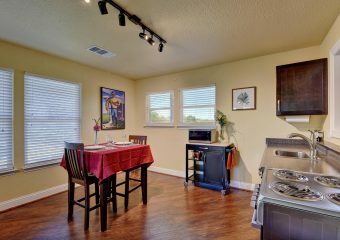 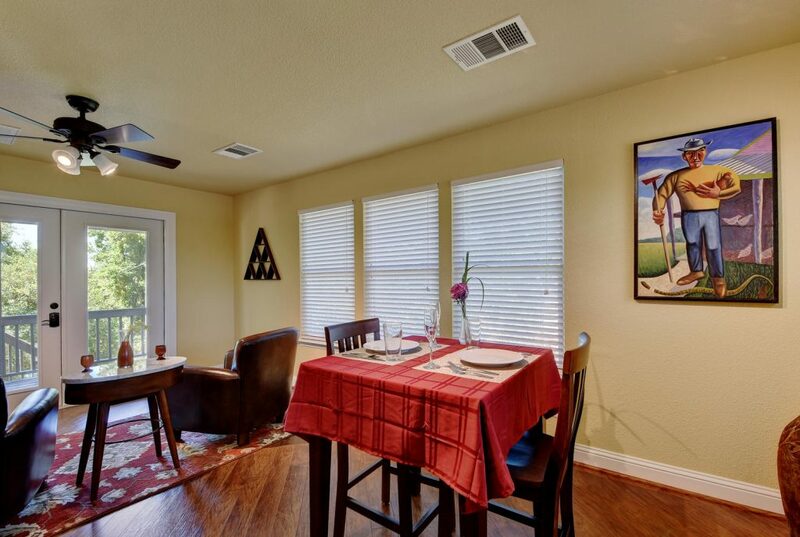 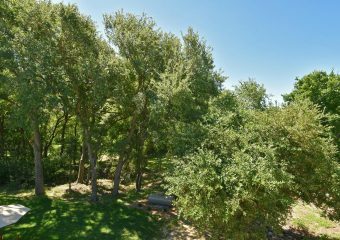 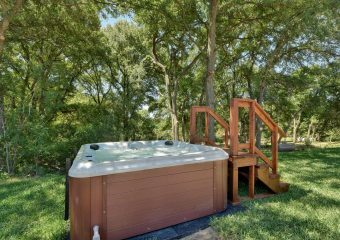 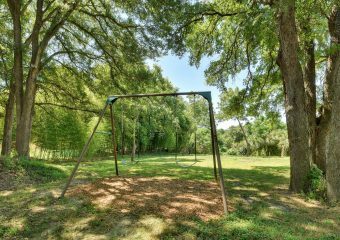 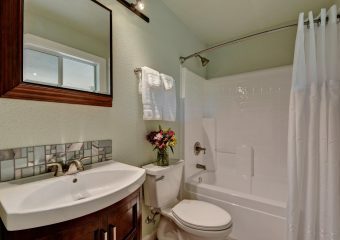 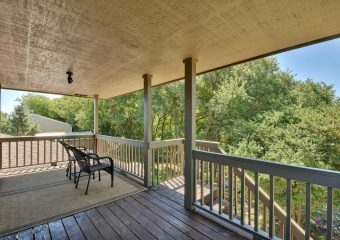 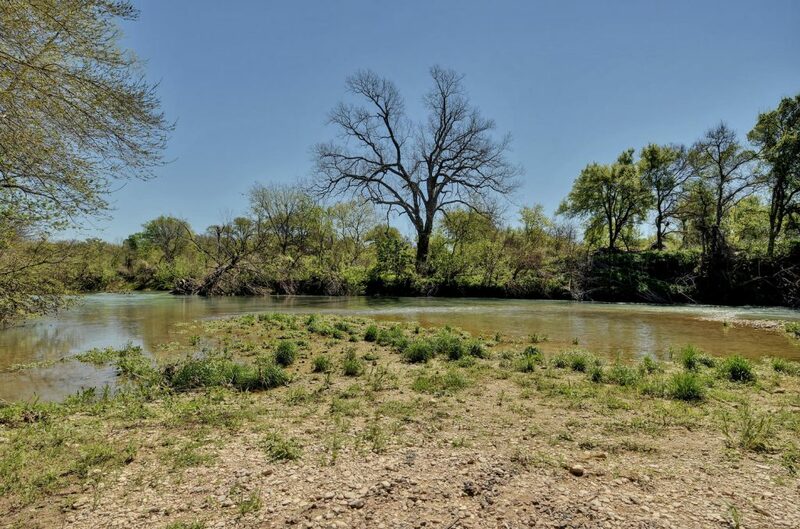 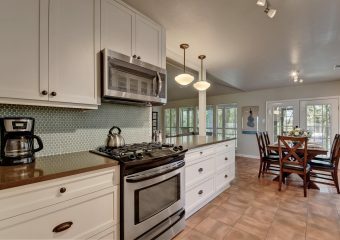 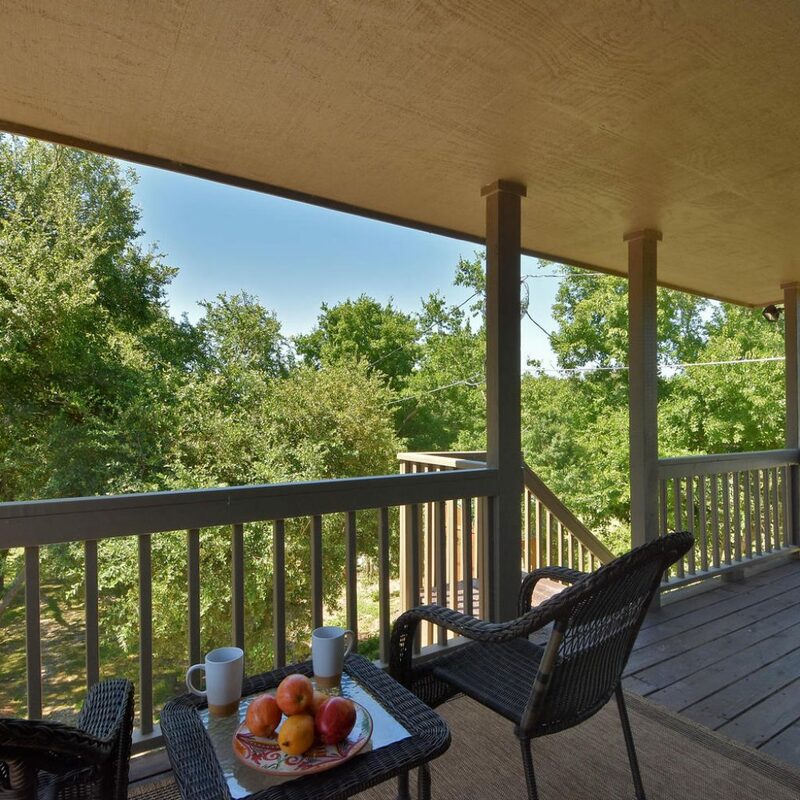 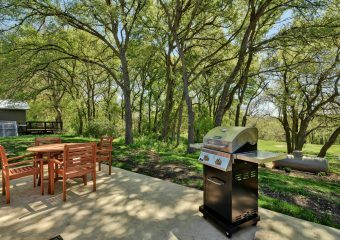 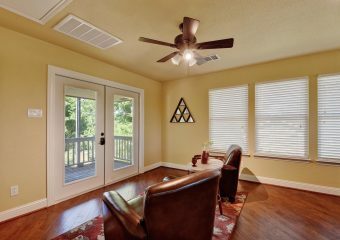 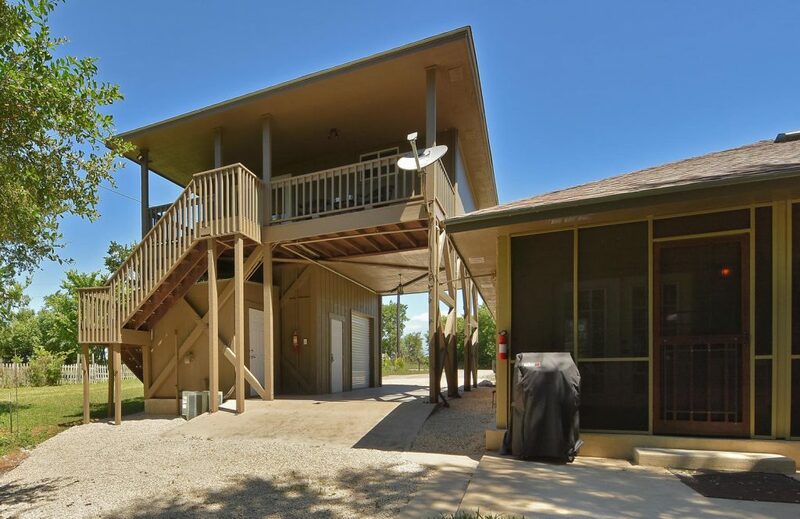 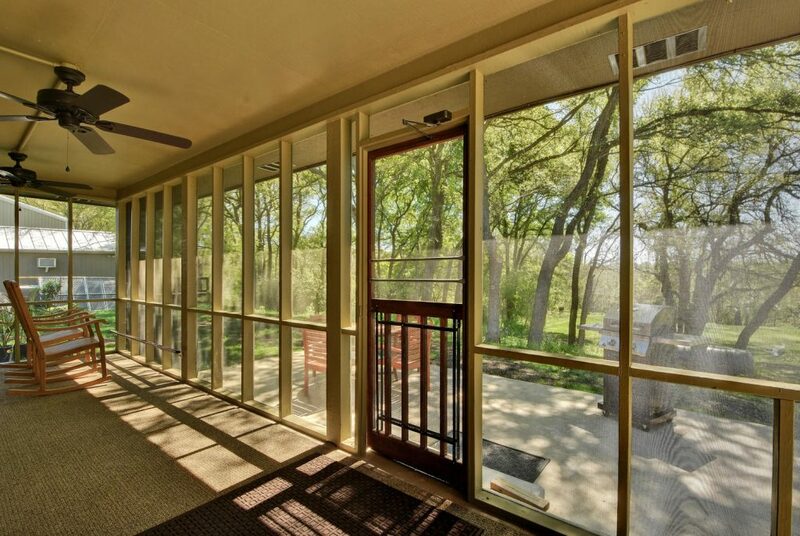 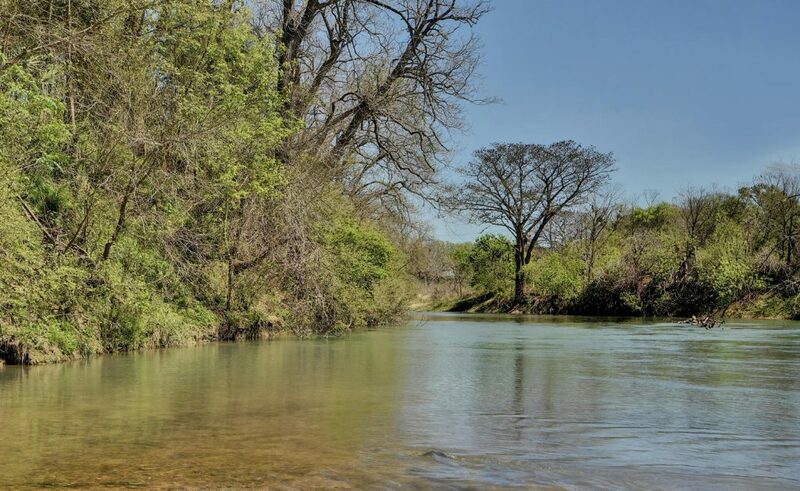 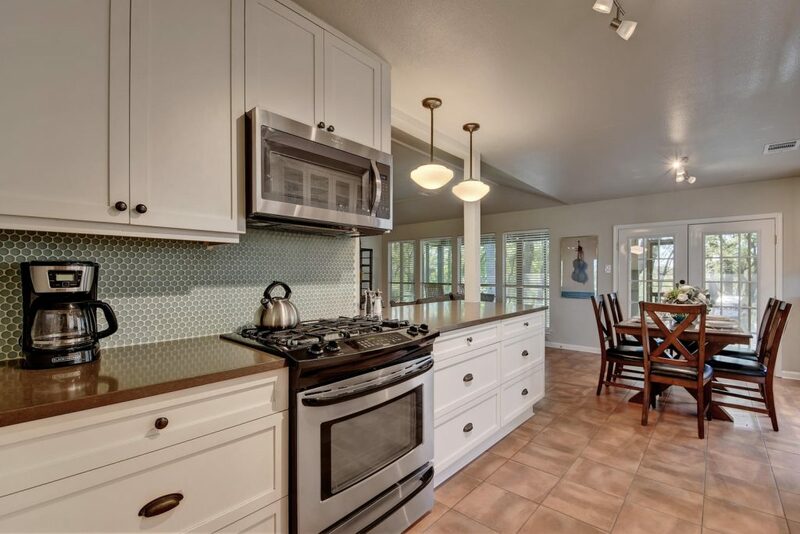 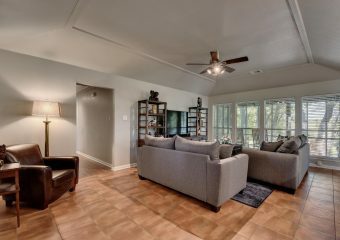 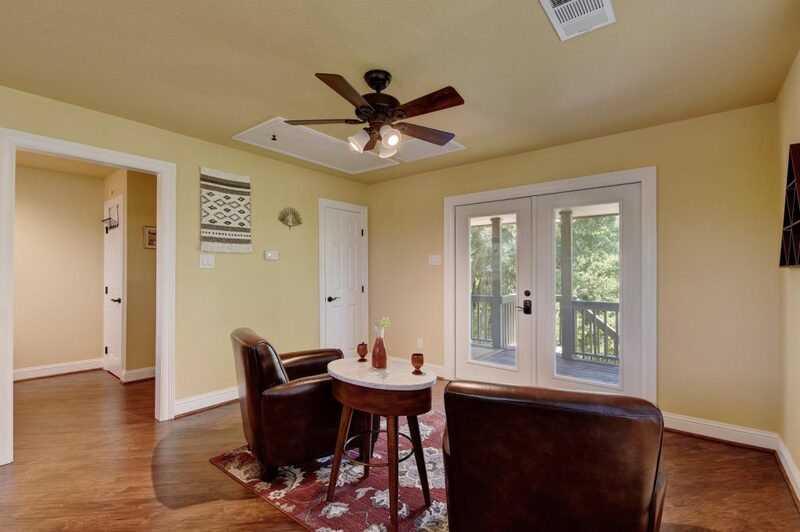 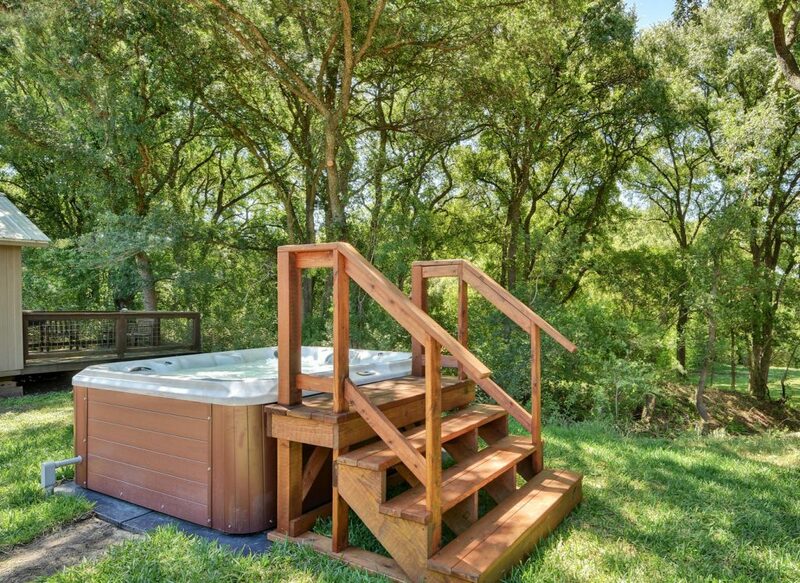 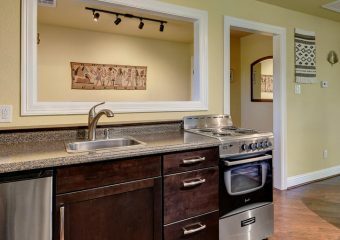 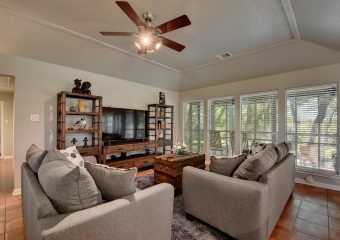 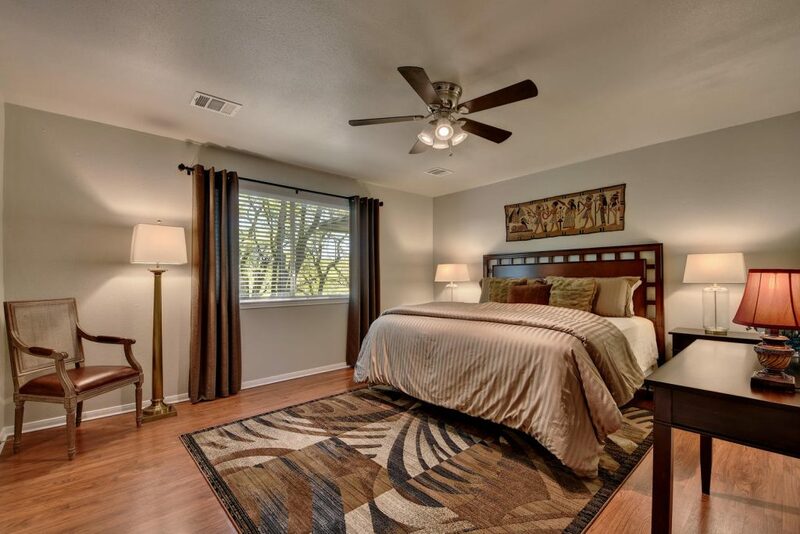 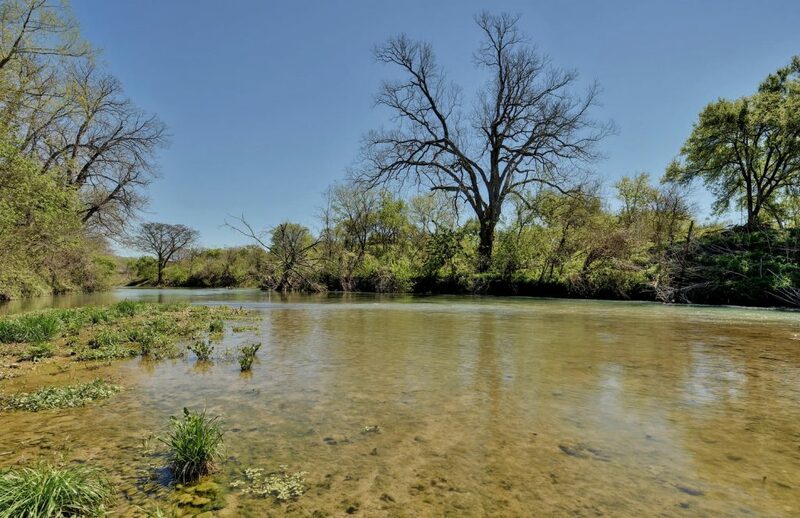 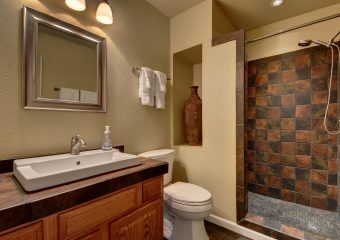 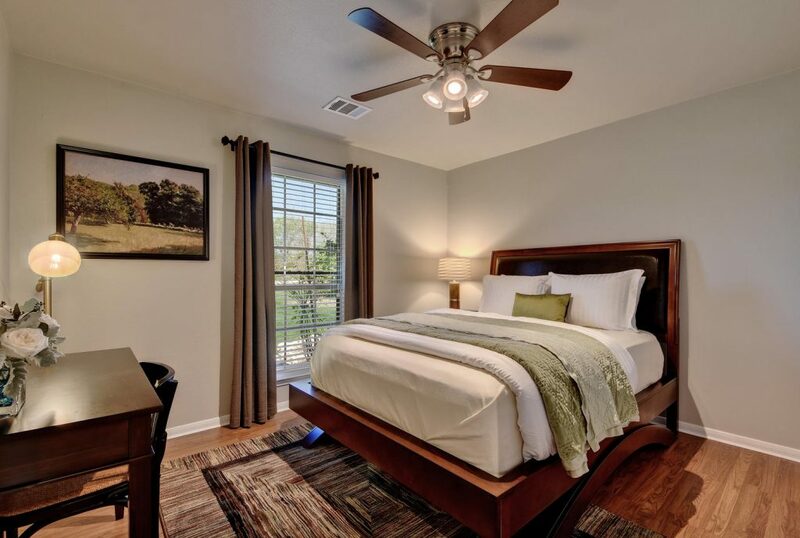 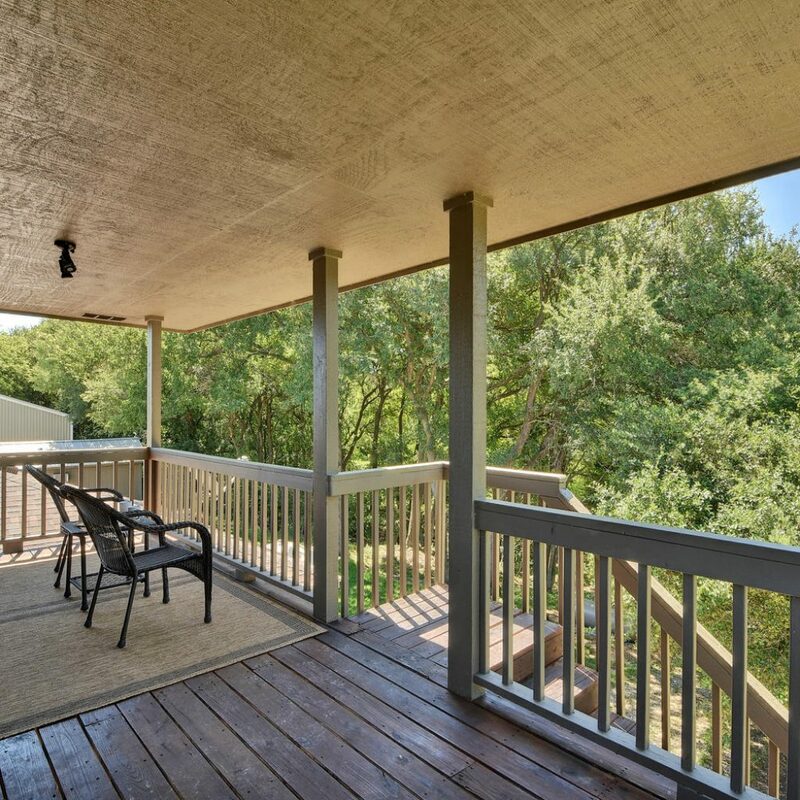 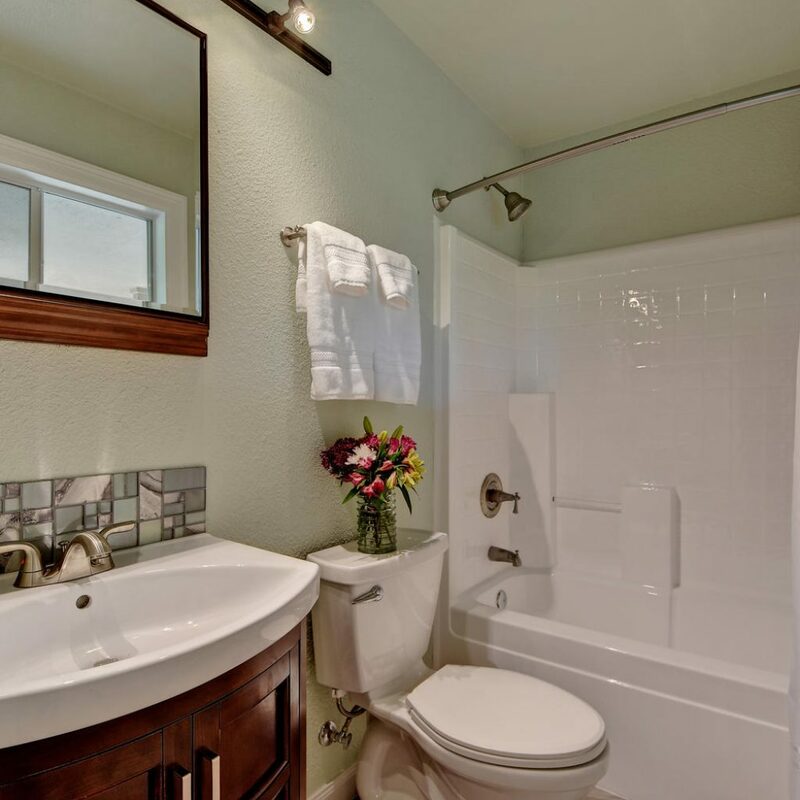 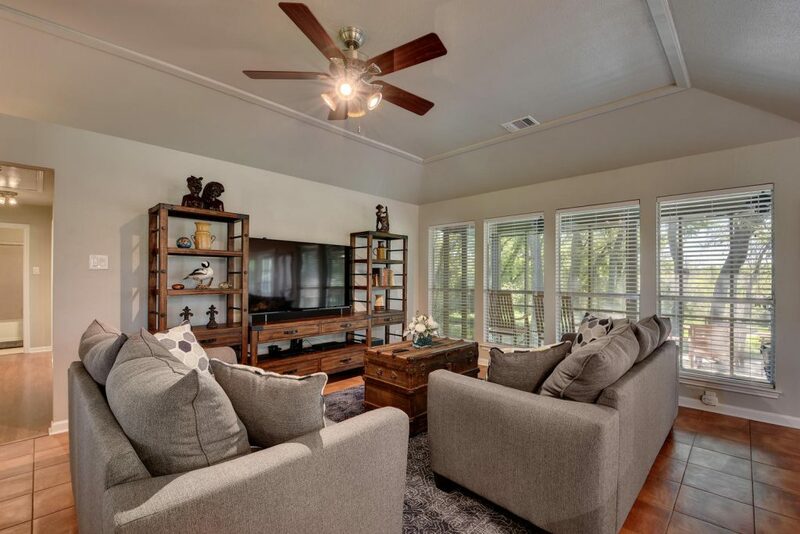 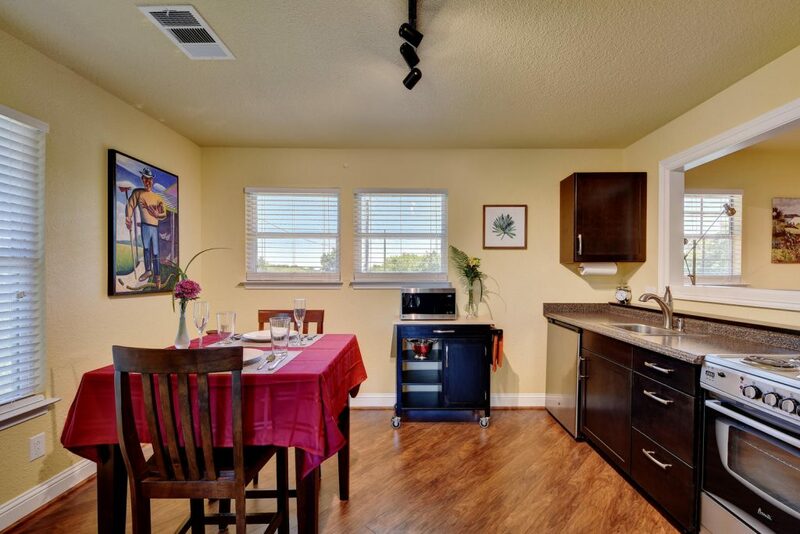 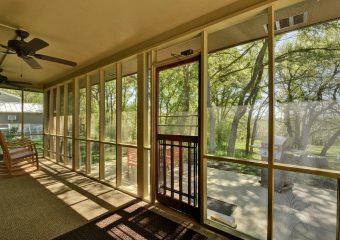 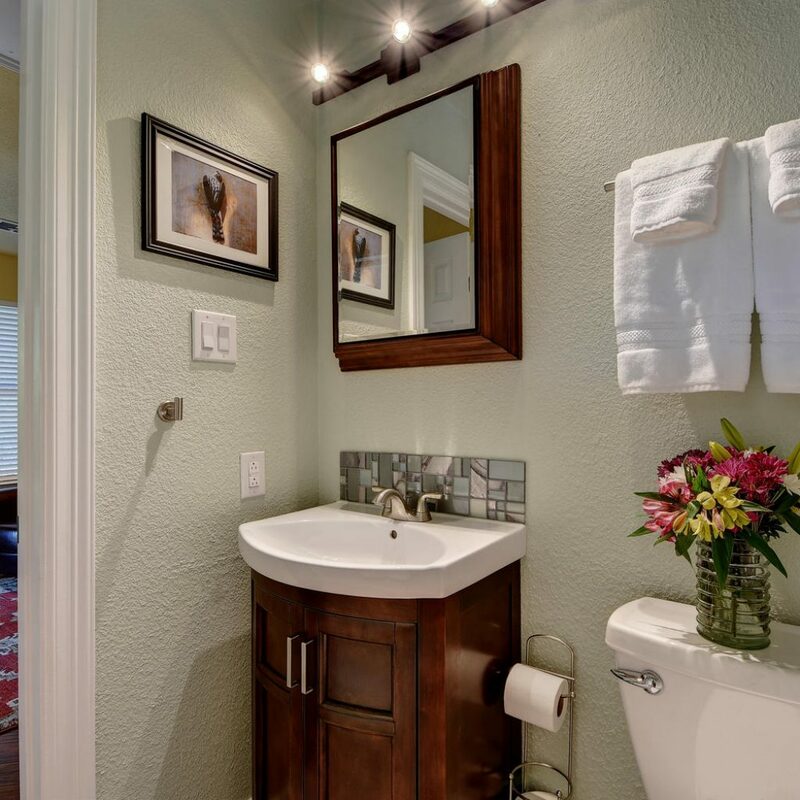 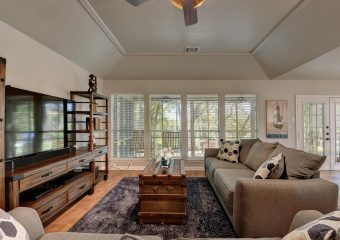 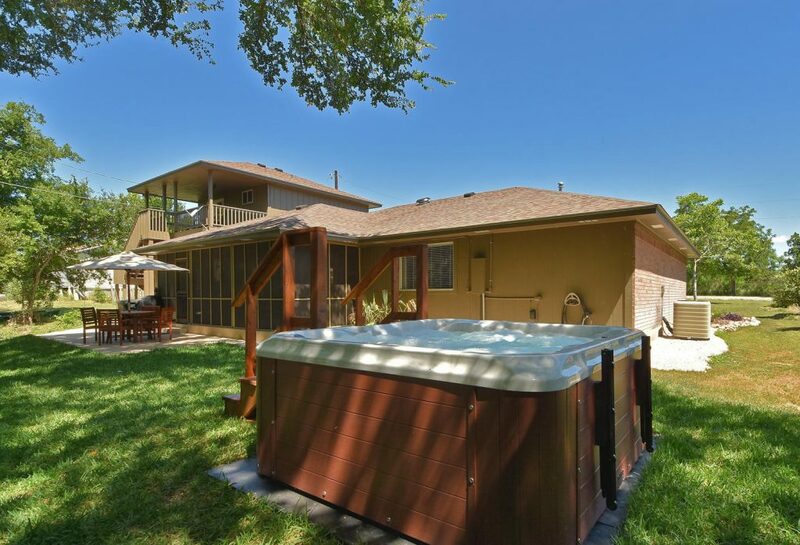 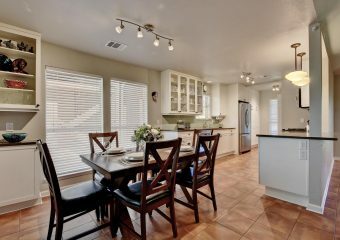 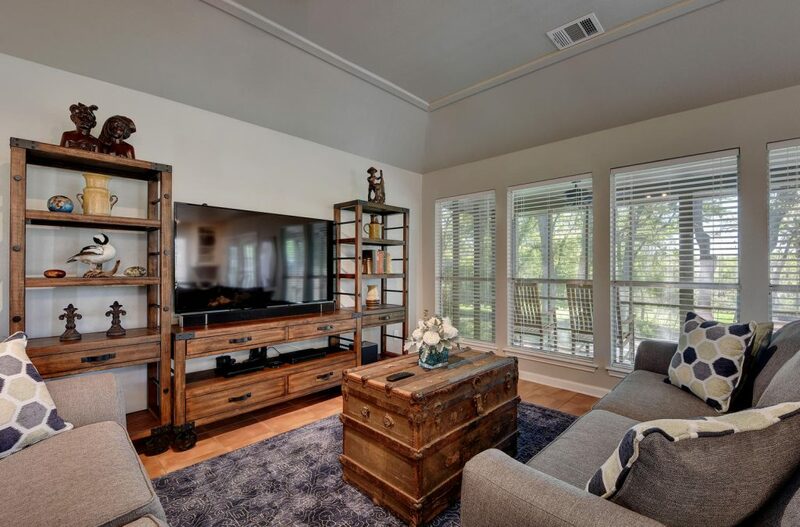 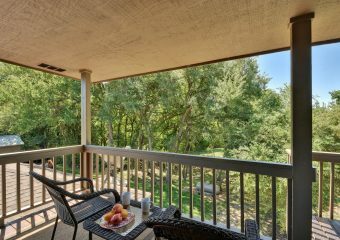 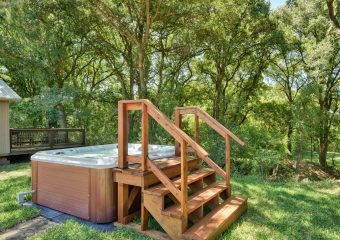 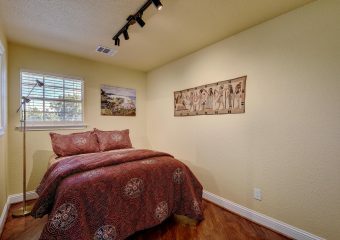 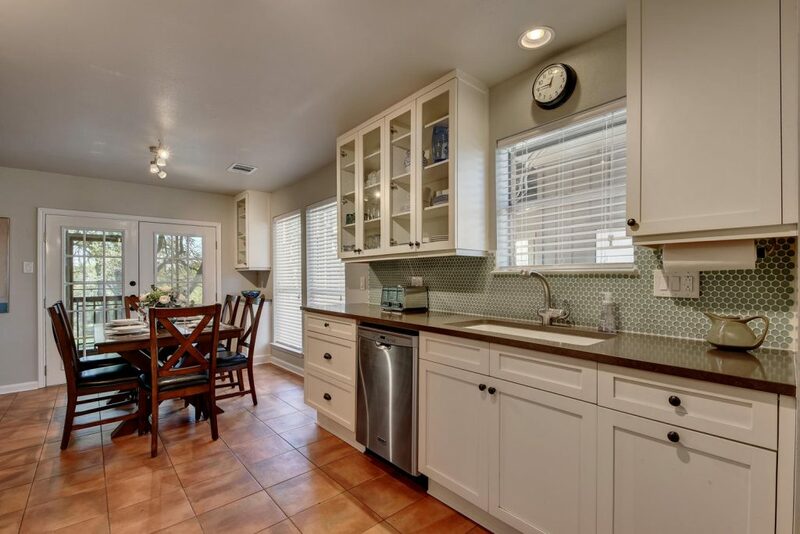 Enjoy private access to the San Marcos River; the yard takes you to a “beach” that’s perfect for wading and fly fishing. 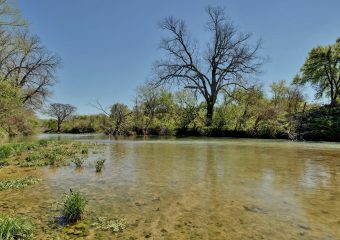 Secret Advice: Take a 3-4 hour kayak trip down the San Marcos River to the tiny town of Staples…unbelievably beautiful. 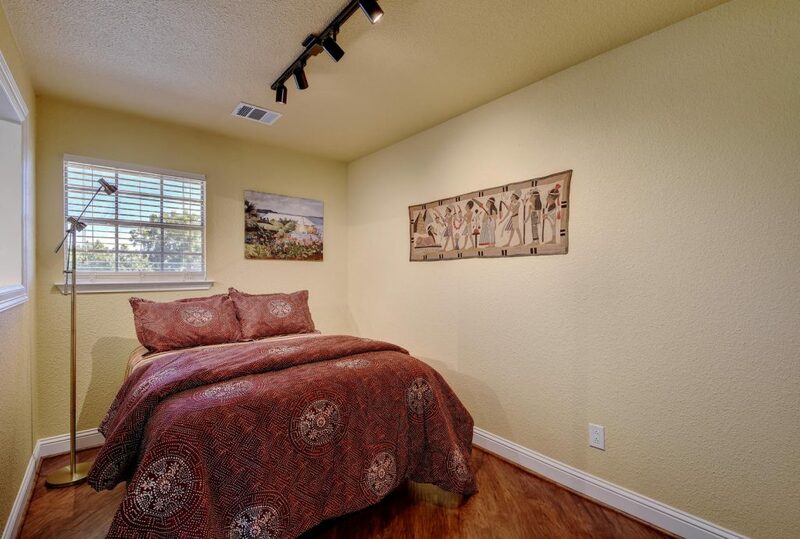 Two additional guests can be accommodated in the 400 square foot second story apartment. 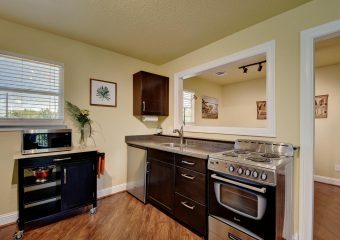 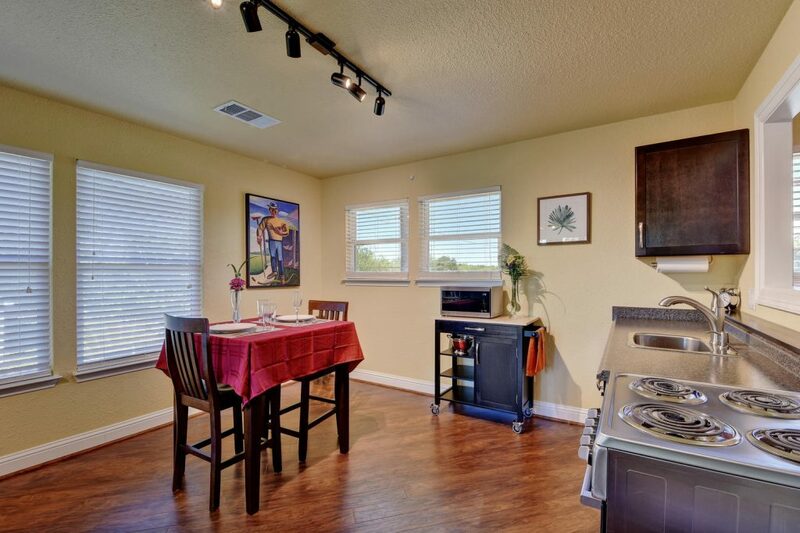 The centrally heated and cooled loft features a common living and kitchenette area, a bedroom, and a full bath. 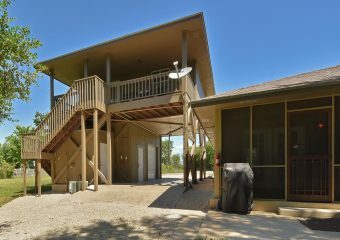 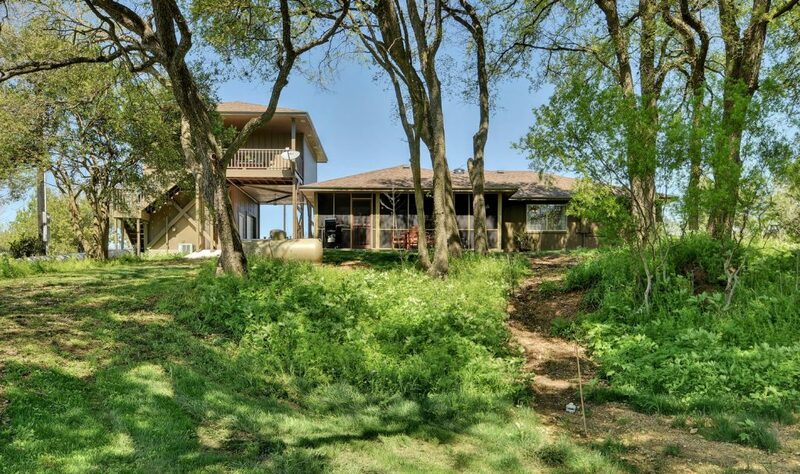 The covered 8’ x 20’ balcony looks over the entire back yard and river. 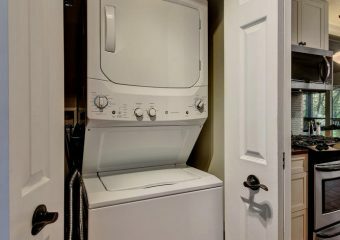 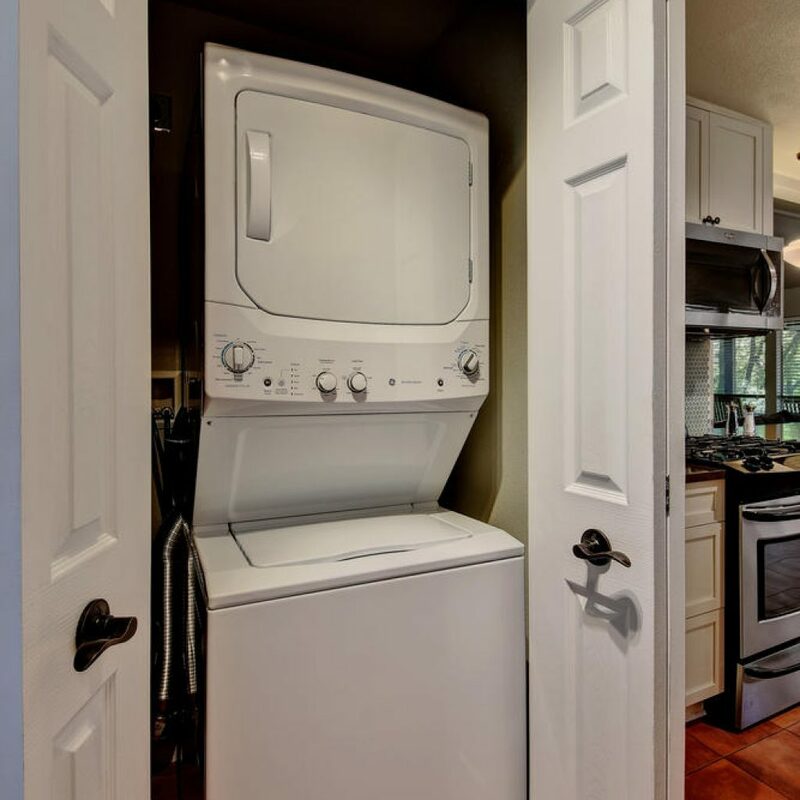 The loft has its own washer and dryer located in a downstairs laundry room. We have all new towels and hand towels; there are beach towels to use at the hot tub or when you get back from the river. 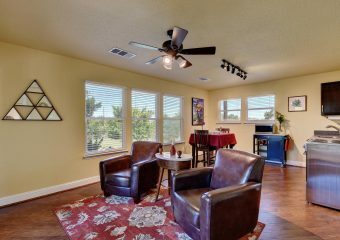 We have a great collection of popular DVD movies, several board games as well as cards, and checkers. 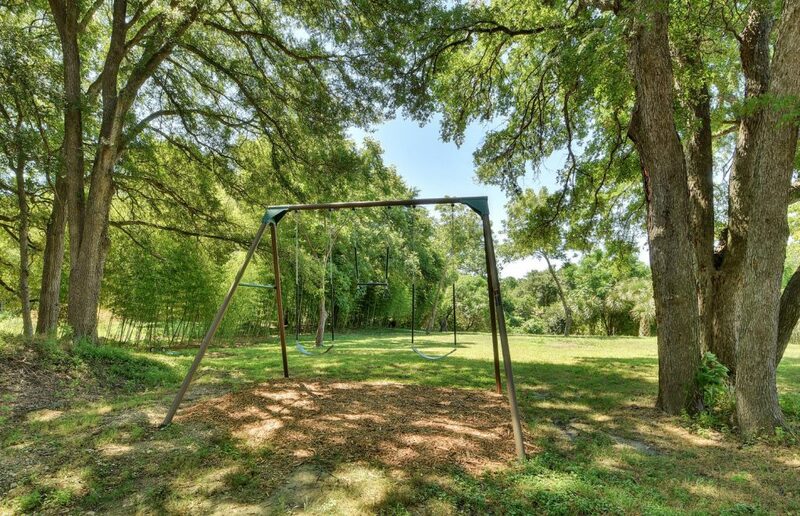 In the back yard, there is a commercial grade swing set and we also have croquet sets for juniors and adults. 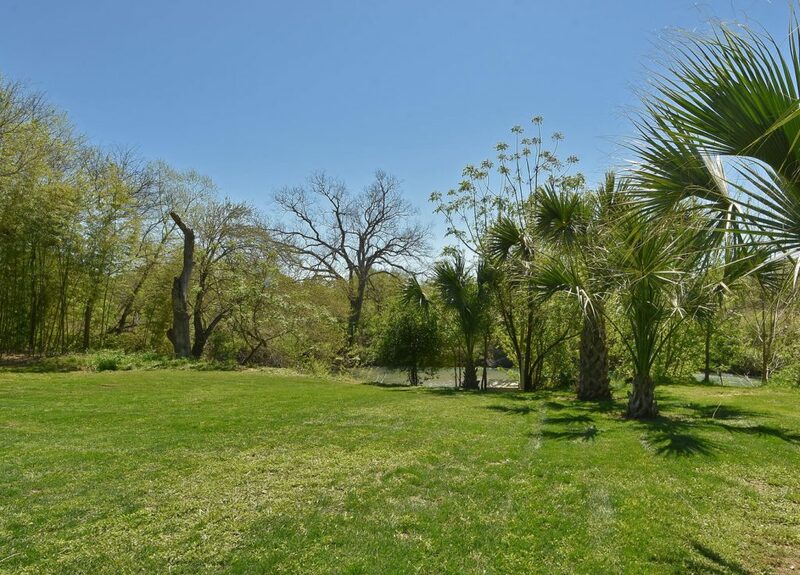 Yes….croquet, it’s a fantastic game. 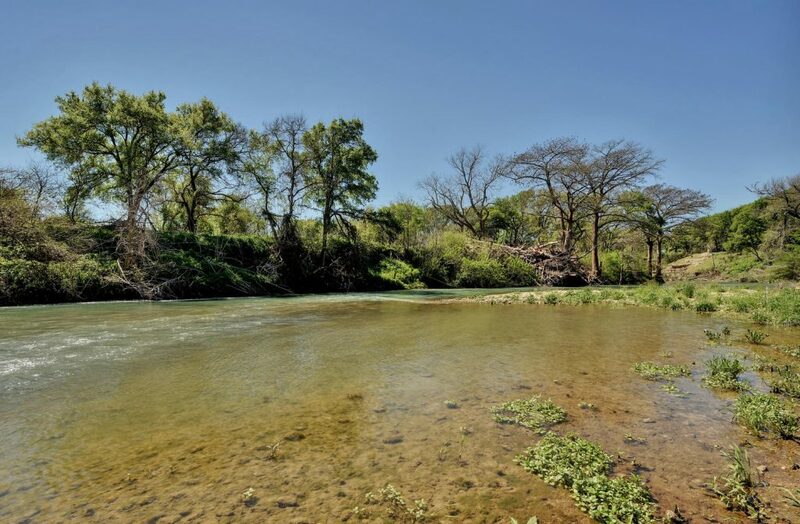 Feel free to bring kayaks, canoes, fishing gear, a snorkeling mask and fins, bicycles, and water shoes. The 2 mile road in the neighborhood is great for walks and bike rides; there are cul-de-sacs at both ends of the road so there is no dangerous traffic passing through. 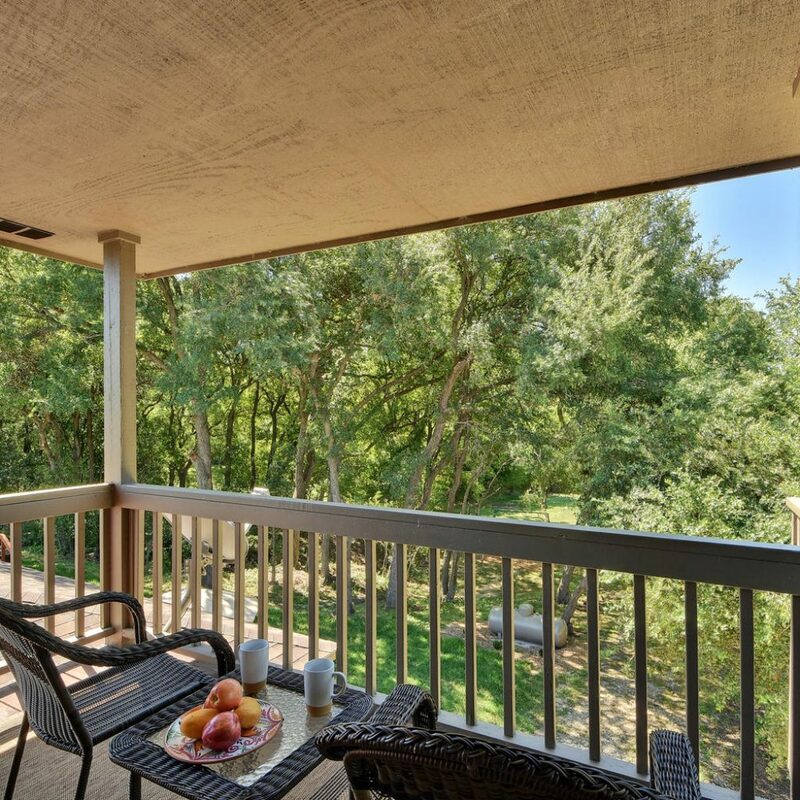 Most of our neighbors have lived here for 20+ years, so we all know and look out for each other….this is the ultimate neighborhood. 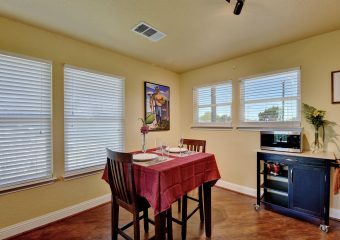 If you want to use paper plates and plastic flatware, please bring them. 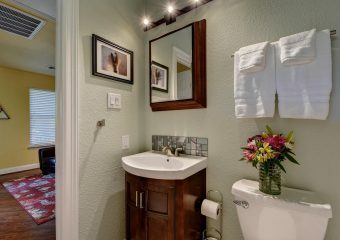 You will also want to bring shampoo and the usual things that you would take with you when visiting a friend. 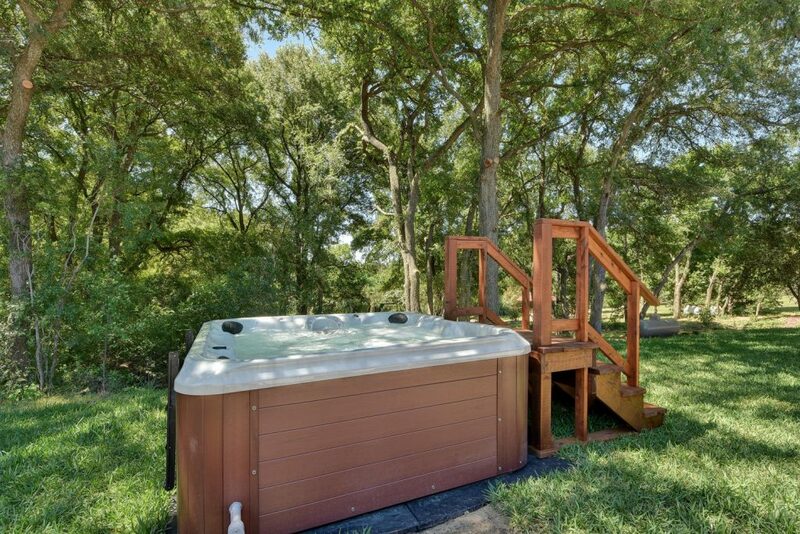 If you live in a very cold climate, you’re in luck! 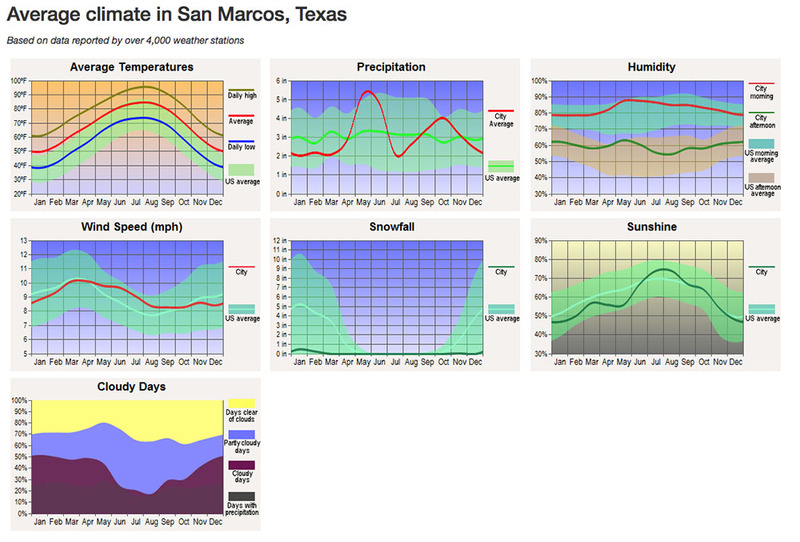 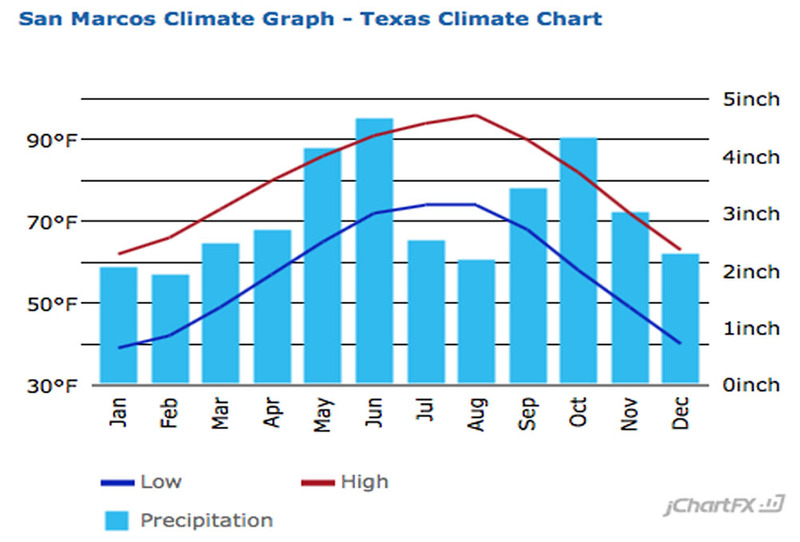 Check out our average monthly temperatures…no snow shoveling here.